Students across primary were really excited about celebrating Pixar Fest and the opportunity to discover different Disney Pixar Films. The week was met with great enthusiasm from all years. Across the week there were many events happening within each year group. On Monday the festival started with a launch assembly to discover what Pixar is as a company and what they do. Students had the opportunity to watch the very first Pixar animation called "Luxo Jr". As well students learnt about Disney and Pixar's joint venture to create the first computer animated featured film, Toy Story and all of the subsequent films from Disney Pixar and via video they were able to briefly experience a back stage tour of Pixar Animation Studios in California, USA. 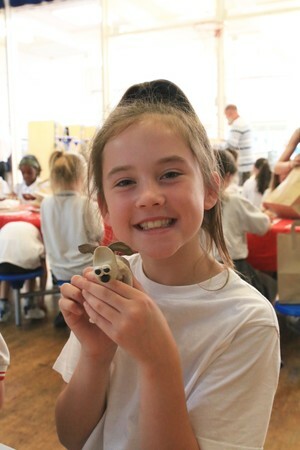 The assembly also showed students how Disney Resorts Worldwide were celebrating the 'Together Forever' friendship between Disney and Pixar and that within the week all students were going to celebrate Pixar Fest through learning the important art and design and technology skills from the national curriculum. 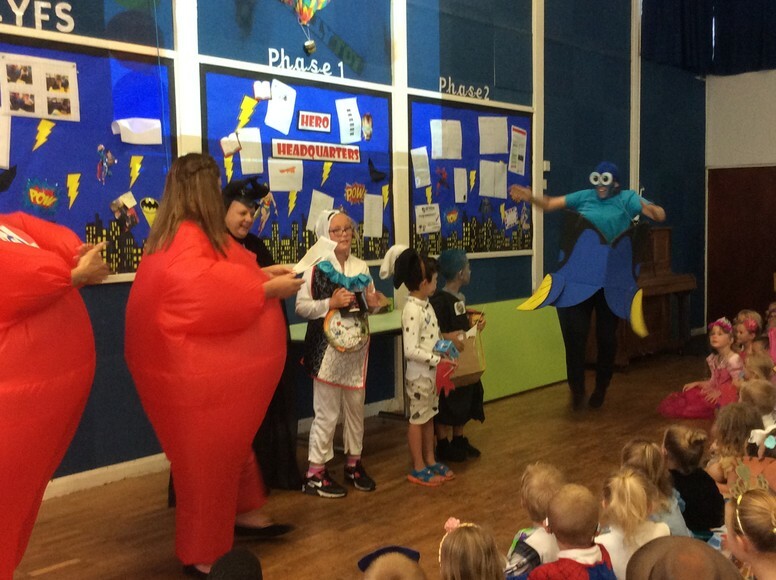 On Tuesday, years N, R and 1 were treated by a special visitor....Rapenzul! She spoke to the students and even helped them with their counting. She posed for photos and gave the students sparkling stickers and certificates. She was extremely beautiful and had the longest hair I had ever seen and even called Mr Filer her own Flynn Rider! Nursery enjoyed watching parts of the film a bugs life, which led them to create clay bugs! Reception watched the film 'Finding Dory' and from this they enjoyed designing and making their own fish puppets and fish flags to use in the Thursday Disney parade. Y4, enjoyed watching the film WALL-E, which led into an exciting group activity to design and create their own Junk Robots. Y5, used their arts and craft skills to produce a class model of the 'UP' house and balloons. They also individually collaged a ‘Kevin’ character. The students showed great imagination and team work during this class activity. 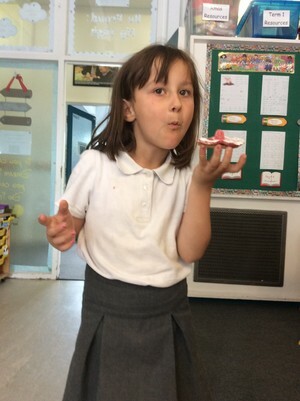 Y1, enjoyed lots of Toy Story fun which included making (and eating!) Jessie biscuits, character kites, Mr and Mrs Potato Head bags, ‘You’ve got a friend in me’ singing and of course the Disney parade! Y2, watched 'The Incredibles' Pixar film. The class then based their week around superheroes with students designing and creating their own, playing special attention to developing their heros character. The class made superhero logos, masks and models and overall designed some great comic strips and character descriptions. What a fantastic week it was! Y3, enjoyed creating rat finger puppets, after being inspired by the film Ratatouille! The students had some wonderful designs, big and small! Y6 watched the film 'Inside Out' and discussed 'emotions'. They also completed some art work using pointillism. 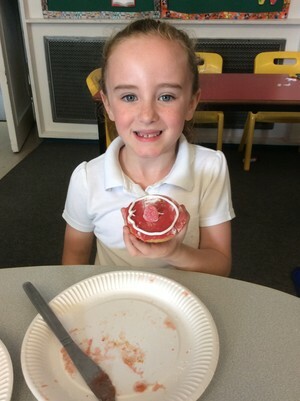 On Wednesday, it was years 2-6 turn to have a special treat. Jim, a model maker from Aardman Animations, who were behind the creation of the Wallace and Gromit models. 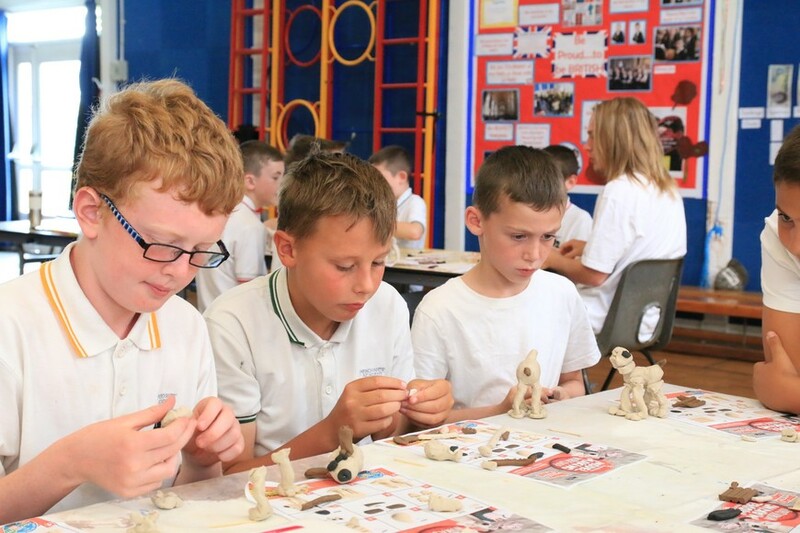 Jim ran an interactive model making workshop for the students and taught everyone how to make their own Gromit model. 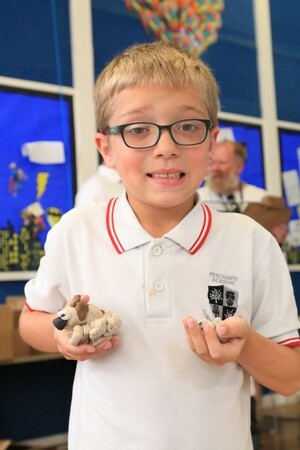 The students were able to take home there very own Gromit at the end of the day. This was a great workshop and helped students improve and develop skills in other areas of the curriculum. 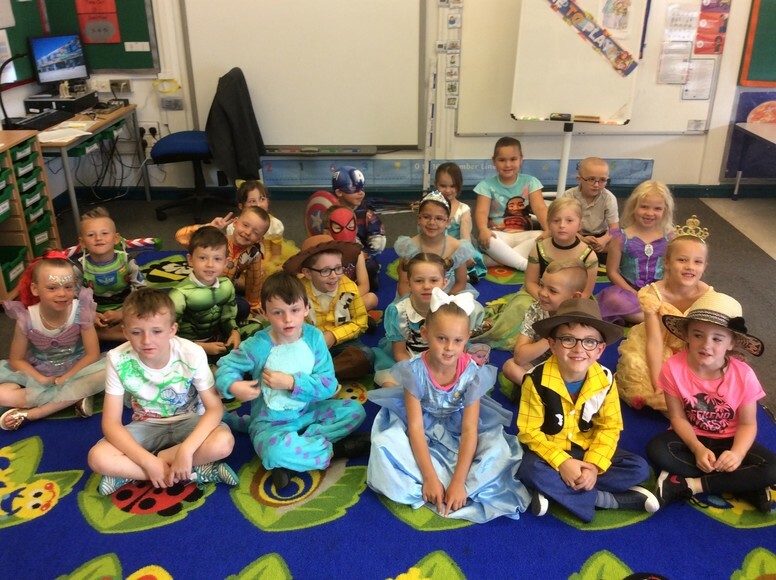 On Thursday, the whole school dressed up as their favourite Disney character. There was a Disney parade and each class paraded through the hall showing off their outfits and waving and smiling as they went by. 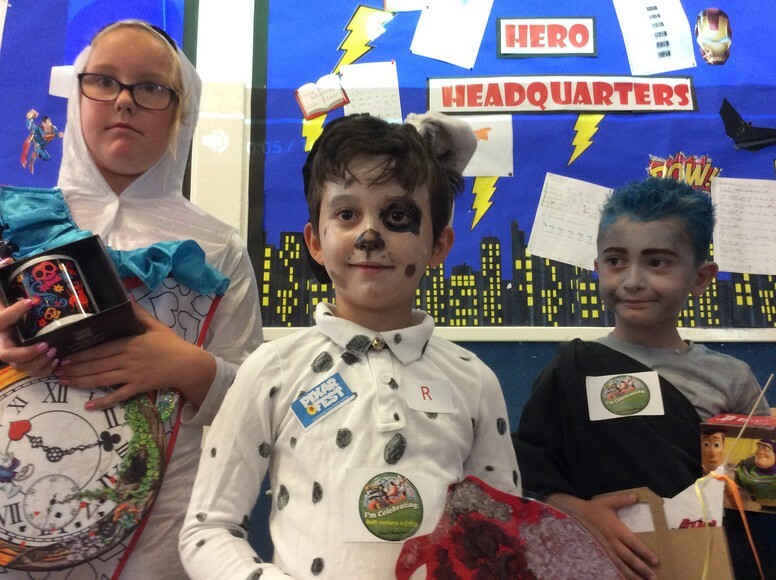 To conclude Pixar Fest week each class presented their creations from the week in a showcase assembly. Well done to all the students who throughout the week have created some amazing pieces of art and design work.